Hello to you if you are an Entrepreneur, a Solopreneur, Self-Employed, a start-up or you run your own Small Business. Would you like to share your story? I am starting a new SuperBlog soon, called Entrepreneur Soul, which will share the good news about self-employment and I want to tell the stories of all of us on it. People love stories and they are waiting to read yours. They want to know why you started, how’s it going and what do you have planned for the future. They want you to inspire them to start their own small business and they want to hear how you got over the challenges life brought to you once you threw caution to the wind and gave up your day job, or it gave you up. We want to hear about YOUR Entrepreneurial Soul. So here’s the questions, they fall into three categories. There’s no need to answer all of these, they are intended just to get your thinking process going. Please just tell us your story in your own words and I’ll publish it for you. 1. The Past. How did you get to where you are today? Did you only just start your business, or did you start it so long ago you’ve almost forgotten how it felt? Why did you start – had you always wanted to run your own business or did you feel you had no choice? Why did you pick that moment to start? How frightened were you and was there anything to be frightened of in reality? Were your friends, partner and family supportive; how did you get over that if not? How did you fund it, if it needed start-up capital? If you had that time to do over again, what would you do differently if anything? What’s your business all about, how did you get the idea, is it something you are passionate about, do you still love it? What have been the surprises good and bad? 2. The Present. How’s it going? Is it what you expected? Is it better or worse and how so? What bits do you like best and least, how does it make you feel about yourself now? Have your family, partner and friends changed their mind about it, now that you have traction? Are the current global economics affecting you at all, positively or negatively? Are you pleased with your decision to work for yourself? What does your business do now, give us a link to your website, tell us if this is your first business or if its built on a succession of others. All in the same niche, or are you a serial entrepreneur? What sort of help and support do you have? Do you have any staff, i.e. have you created any jobs? Is that in your game plan? 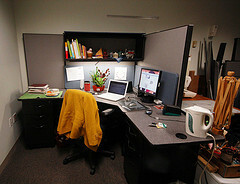 Do you work virtually from home, or have premises? Give us the URL of your current business and a photograph of you please, or your shopfront or product line. 3. The Future. Where next? What are your goals and ambitions, targets, hopes and dreams? Do you think this is the only business you will create, or the last? Will you sell this one or just close it down to start your next? Or grow this one? Does your business give you the lifestyle you desire whether that be financial or to do with the space to have a life too to be with your family, have mini-retirements or plenty of off-peak leisure time? What do you do with that time? Anything else you want to tell us about the past, present and future of your own small business, your hero’s journey? Please send your story to me and I will publish it on Entrepreneur Soul. You might also like to consider becoming either a Guest blogger or a Resident Writer. When we publish you, would you be kind enough to return the favour and give us a mention on your own website too please – a link to your story on ESoul which inspires and encourages, and tells the real story of being your own boss. I’d be so grateful if you would send a link to this request for stories to anyone you know who is self-employed who you think might also like the chance to tell it like it is, get their own business featured by us and get a link back from our site to theirs (and perhaps yours too) and vice versa. Thank you so much for telling your story and for paying this opportunity forward.